If it helps i got the below for my son for his birthday last week and he’s happy with it. We only got it as a small extra gift as he mentioned a Fitbit type device a while ago but we already had plans on what we were getting him, also as you say I thought it would get lost or he’d lose interest in a few days. As I say he’s had it a week, lasted 4 days before needing it’s first charge, does most things a Fitbit can do and the app looks really similar. It was £11 when we ordered. https://www.amazon.co.uk/gp/product/B071CHF1R1/ref=ppx_yo_dt_b_asin_title_o04_s00?ie=UTF8&amp;psc=1 saying that hat I also ordered another one for around $3 from Ali express which arrived a few days ago, looks just as good and includes the heartbeat sensor. So worth looking around. Got a link to details please? My daughter's 7th birthday is in 2 weeks and she wants a Fitbit. I'm heavily leaning towards a cheap but we'll reviewed generic option from Amazon at the moment. She's bound to lose or break it and I'd be much happier with that happening to a £10 device. Utter trash, strongly advise people to stay away from this. They simply don't work properly at all, are utterly unreliable, a nightmare to even attempt to use etc. Just save yourself a headache and a tenner, this will end up in the bin. I have one, the stock battery lasts about 5 minutes, once you put a new one in lasts about 3-4 months. As long as the battery is good works well with the app. Found the Kodak battery from Poundland are ok. 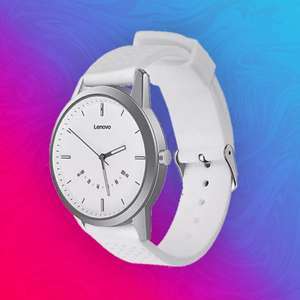 I don't think Lenovo actually make smart watches so most likely fake. This watch breaks within a few weeks. Voted cold. I've just upgraded to a Charge 3 special edition (with nfc) after using a charge 2 continuously for nearly two and a half years. So far I amhappy with it and I haven't had any of the issues that I read about on the fitbit forums. It is a lot more comfortable on the wrist than the '2'and the strap design has definitely evolved. I have it paired with my nokia 7plus mobile and no issues with syncing or otherwise. In fact it seems to sync better than the '2'The battery life is much improved and it looks as though I will get a full 7 days out of a single charge. I also have my charge 2 still paired and they both co exist quite happily. I also believe there is at least one feature that fitbit haven't turned on yet but will do so in a upcoming software upgrade (but not the one that is just starting to rollout).I haven't used the 'gps' tracking yet but if it is the same as the 2 you just hit + walk and it tracks it using your phone. Ive just completed a long distance walk and used this every day for 11 days without any issues. I can also say that the customer service from Fitbit is excellent. Like all these devices you do have to invest some time if you want to get the most out of it. Don't expect them to just work perfectly out of the box. Unfortunately now that we live in the age of 'updates' the marketing people can sell the products before the engineers have finished designing them. The sooner people realise this the better. Its comes with mo accessories which would cost extra for charger etc . The watch doesn't seem to be very popular it seems there are loads of them for sale everywhere. Was wanting to get one for a while but this is beset with problems, not least of which is a totally inaccurate fat percentage monitor. So many complaints on Fitbit’s forum. Just hope they have sorted out the nightmares reconnecting to the WiFi network after the simple thing of changing batteries on the Aria 1. Great bit of kit beset with annoying issues, hope it's fixed on this latest model. You forgot to mention that the versa comes with onboard storage as to allow the storage of music. Samsung Gear Fit 2 Pro Fitness Tracker - UK Version Red £179 @ amazon Free prime delivery. Yeah, it's been a lot cheaper than this quite regularly. Paid £120 from argos for the wife. 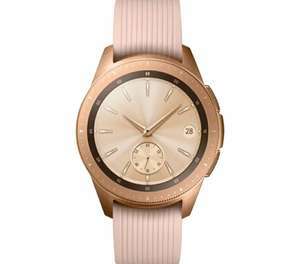 Got mine direct from Samsung for £109 in one their sales, not worth it at this price imo as they regularly get discounted.. This is knocking on a bit now... Vivoactive 3 is more modern and offers a lot more features (not far off the Fenix range actually). Good find. These are falling regularly in price and can get a decent amount of tech for very reasonable price. Bought it at Argos and got a £5 voucher card for next spend.. I've been using the Huawei Band Pro 2 for almost a year now. I think the band has popped open about twice on me by catching on clothes. I'm tempted to upgrade to the 3 though. Interesting proposition this watch. I picked up the Huawei band 2 pro off Amazon for £25 this week. The strap isn't great though it just clicks in and has a tendency to fall off. The display on this one looks exactly same as band 3 however I'm guessing it doesn't feature GPS? When comparing the specs, they seem to but the minor 4 also seem to have more functionalities. However, they are marginal in my eyes. The deal breaker for me is the price. Never miss a 'Fitness Tracker' deal again! Great thanks. Bought replacements from amazon and they are on but not as good as these. Brilliant, ordered 2 - was about to buy for £8 on eBay! Yes, most likely. The left wrist heart rate issue seems to be common enough when searching though, so won't risk another one. My Ticwatch and Verge are fine on the left. Cold, due to Kirin 710, if it was Kirin 970 or 980 would have voted hot. The Smart sensor kit is £56.99 I believe? So is it worth it, for the price? Have been looking to buy one of these as a gift, was nearly ready to pay £150 at John Lewis (for the lilac one) so thanks for saving me £41! The middle one is a lot shorter. Are both your legs the same length? 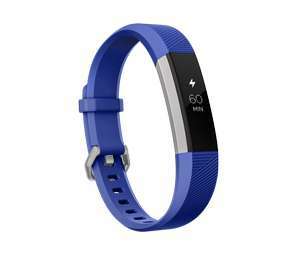 All colours of the new Fitbit Inspire HR down to £74.98 from release RRP of £89.99 at BT Shop. Free delivery! 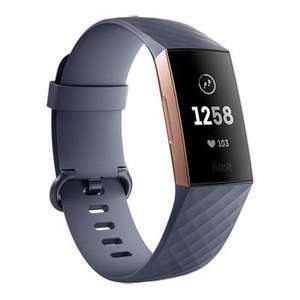 what does this not have that is in fitbit charge 3? Got one of these for the other half for her birthday a few months back and she loves it. No sync issues between it and her Samsung S8 and lots of apps and gadgets to play with. Seems like a waster of both your time and Amazon's money. Strange. I believe amazon used to have a policy of refunding the difference if asked within 30 days. Worth emailing in. I got the honor band 2. It's good but the steps is useless said I did like 50 steps getting out of bed. Also when doing an outdoor cycle it just draws a straight line when using phones gps. I have had this since Aug 18. Can't fault it at all. Are you referring to the honor band 4? decent band. dont use mine anymore as upgraded to the 4. the gps destroys the battery when used. Also blue Gear Sports 'like new' available for £130 after the 20% reduction, come with the rotating bezel as well although the styling isn't for everyone. Come on, who got it? I've just started looking for a fitness tracker for my wife but have no idea what to get. i have seen fitbits and garmin which seem like the popular brands but are quite expensive. All she needs is a calories and step counter mainly. What do you guys recommend as something that is good quality, easy to use and cost effective. I've read reviews but wanted some input from anyone here as I trust there is some good knowledge of these here. Any help appreciated.